Gosh. 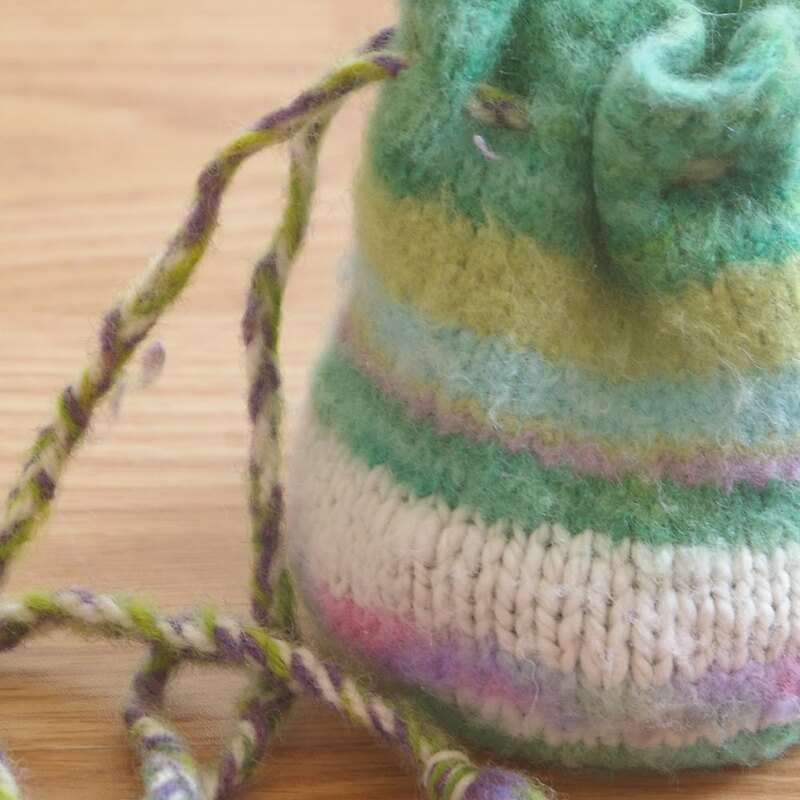 Remember grabbing your bag of marbles and heading out to play in the sand with your pals? Shooting aggies and cats' eyes and playing for keepsies? No, I am not channeling some 1930s newsboy, I really played marbles. Easter gifts in our family are traditionally small and simple things for outdoor play, marking the coming of spring. 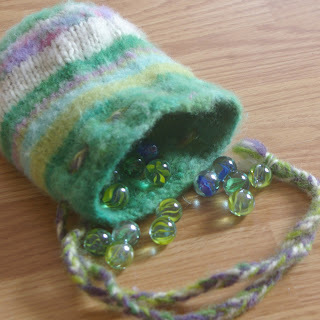 This year the Bunny brought Rowan a bag of marbles and she is delighted (how often we forget the joy of the simple toys that have lasted through, well, millenia!). My memory was fuzzy on how to play (and my husband, apparently, never played~ chestnut fights were the game of choice at his school. Weird.). So unlike the children of yore we skipped merrily into Google and found... The Land of Marbles! 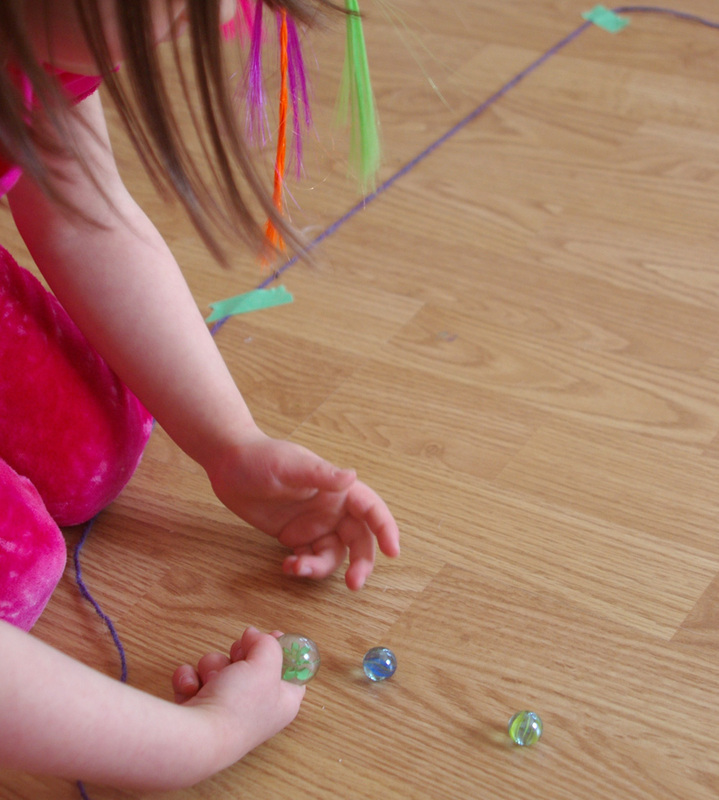 complete with easy to follow video for a simple ring game of marbles. Educated and ready to lag, we grabbed our shooters and our mibs and laid out a 3' circle on the carpet. 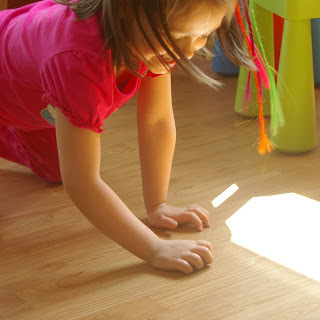 We did attempt to play in our art room with the laminate floor, but quickly found out~ and I mean quickly~ Rowan accidentally emptied the bag of marbles all out on the floor!~ that our floor in that room is NOT level nor suitable for marble play. I think the puppy ate one or two, but so far so no side effects! (Rowan is pictured trying to capture runaway marbles). Rowan is 4.5 and it took about 10 minutes of practice to be able to shoot her marble effectively (in terms of force, not aim!) while demonstrating the proper 'knuckle-down' technique (and I learned where that phrase originated!). While the game had the potential to be frustrating, Rowan stayed engaged and excited and we played several times, after which she continued to play with her marbles on makeshift ramps of books and blocks and she toted her bag of marbles around all day (bag made by mama with assorted yarn scraps). We are looking forward to taking it outside and I am keeping my eyes open for marbles at spring yard sales, since half the fun is collecting and playing with your favourites (Etsy has some nice lots of vintage marbles, but they are heavy to ship to Canada!). And what better way to practice fine motoer skills, hand eye coordination, fair play and have fun?! When I was a child, we played a game involving shooting into holes (or out of?) in the sand~ does anyone remember this version? How cool! I had marbles as a kid and so did my boys. I made them bags for their treasures and they played and traded them with their friends. When my mom still had a shop in Germany she also sold glass marbles. I still have some really old marbles that I love.